The Landmine and Cluster Munition Monitor (the Monitor) is the research branch of the International Campaign to Ban Landmines (ICBL). According to their 2015 report, government and non-government armed actors were accused of planting mines in 2015. Seven states and two regions contain mines. The extent of Burma’s contamination is not known. All 7 townships in Karen State are contaminated. ICBL has reports of 3,745 being injured or killed by mines between 2014-1999. With no systematic means for data collection, the ICBL expects actual numbers to be higher. Burma is currently a non-signatory of the Mine Ban Treaty. 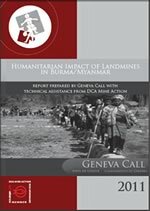 A 2011 report released by the humanitarian organization, Geneva Call, says Burma is ‘one of the most heavily landmine-contaminated countries on earth’ with more than 10 percent of its townships severely affected. The Border Consortium (TBC is a consortium of 10 international non-governmental organisations (NGOs) from eight countries. In 2015, TBC is working towards continuing to provide life-sustaining supplies while now also preparing refugees and IDPs, through education and access to information for self-determination. See Key Resources for previous reports and more information. In 2014, Burma, with help from the United Nations Population Fund (UNFPA), conducted the first census in the country since 1983. The link below provides not only countrywide data but also regional reports from this census. In 2015 UNFPA invested more in reproductive health, gender-based violence, and family planning. 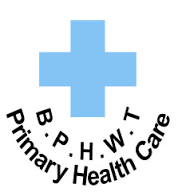 The Back Pack Health Worker Team is an independent and non-profit organization that has been delivering primary health care for over 13 years to people in conflict zones and rural areas deep inside Burma – where access to healthcare is otherwise unavailable. In Karen State, as part of the EART (Emergency Assistance and Relief Team) BPHWT provided relief and assistance after the land confiscation, to those affected by armed conflict, and after flooding in 2015. The Mae Tao Clinic (MTC), founded and directed by Dr. Cynthia Maung, provides free health care for refugees, migrant workers, and other individuals who cross the border from Burma to Thailand. People of all ethnic backgrounds and religions are welcome at the Clinic. 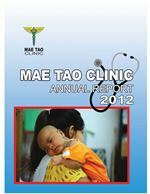 Dr. Cynthia Maung has won 14 international awards for her humanitarian work at Mae Tao Clinic on the Thai Burma border. In 1989, its founding year, her clinic treated 2,000 patients, in 2014, numbers surpassed 100,000. 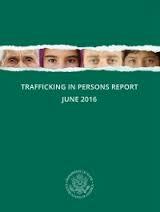 Burma was grouped with the worst offenders in the 2016 Trafficking in Persons Report which looks at human tracking throughout the world and is released by the United States Department of State. A serious problem for the country as a whole, human trafficking and forced labor have and continue to affect Karen State as well. The Geneva Call focuses on child safety, gender issues, banning landmines, and humanitarian norms. 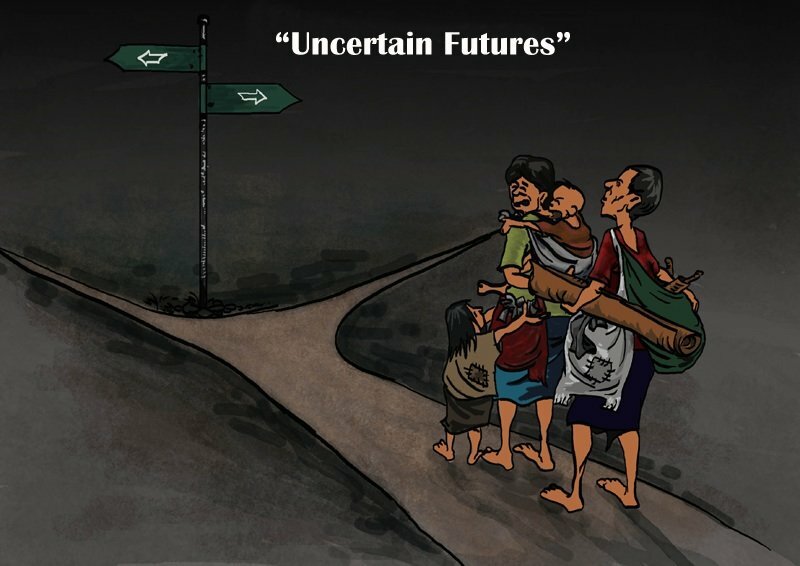 The 2015 Annual Report states, government action in these areas has slowed in Burma. However, a number of armed non-state actors (ANSAs) including the Karen National Union/Karen National Liberation Army have signed the Deed of Commitment protecting children in armed conflict. The Free Burma Rangers (FBR) is a multi-ethnic humanitarian service movement. They bring help, hope and love to people in the war zones of Burma. Ethnic pro-democracy groups send teams to FBR to be trained, supplied and sent into the areas under attack to provide emergency medical care, shelter, food, clothing and human rights documentation. FBR have a number of reports available on their website. 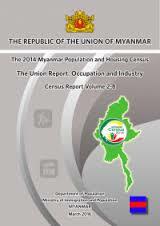 The 2015 report documents, even with the ceasefire agreement, fighting in Burma is ongoing, and the military continues to oppress certain areas in Burma. The International Human Rights Clinic at Harvard Law School works to protect human rights around the world. They have worked in Burma for approximately 10 years. The Karen Human Rights Group (KHRG) is a grassroots Karen-led human rights organisation, established in Karen State during 1992 and now operating across rural eastern Burma. With eighteen years of experience, and twice nominated for the Nobel Peace Prize (in 2000 and 2001), KHRG is now recognised internationally as a leading authority on major issues such as internal displacement and forced labour in Burma. KHRG produce many reports and bulletins on the situation in eastern Burma. Human Rights Watch is one of the world’s leading independent organizations dedicated to defending and protecting human rights it has many reports on Burma and Karen state. 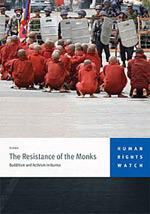 The Resistance of the Monks is written by longtime Burma watcher Bertil Lintner, describes the repression Burma’s monks experienced after they led demonstrations against the government in September 2007.